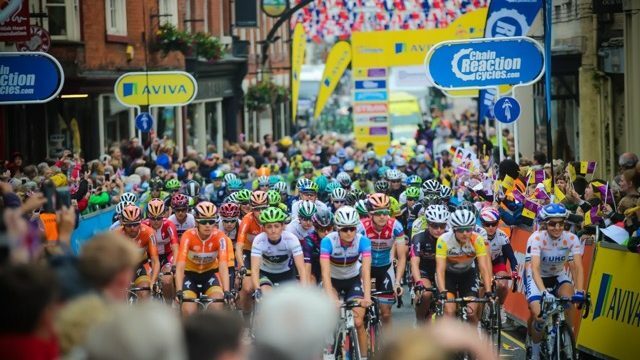 I love to see women’s pro cycling develop, and one race that’s growing nicely is the 2017 Women’s Tour cycle race, previously known as the Women’s Tour of Britain which starts in England tomorrow. It’s a five stage race covering the areas of Northamptonshire, Warwickshire, Staffordshire Derbyshire, and a final criterium race in London on 11 June 2017. 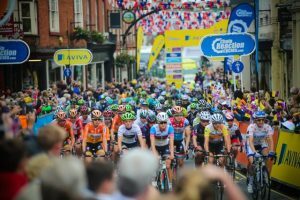 This year is the fourth edition of the race, and the first time the race has finished in the capital, using the same six-kilometre circuit around central London as the men’s Tour of Britain. Speaking at the launch of the route, race director Mick Bennett said “having the Mayor of London invite us to London for the final stage of The Women’s Tour shows the status of the event, that just three years on from its creation it can be a part of the UCI Women’s WorldTour and feature all of the world’s top 15 teams. “This year’s route will combine testing climbs and beautiful scenery in the heart of England with the London finish, which will be an undoubted highlight of the sporting calendar,” he added. A total of 17 teams will take part in the 650 km race, with the three former winners all lining up – Lizzie Deignan (2016), Lisa Brennauer (2015) and Marianne Vos (2014). Australia’s Orica Scott women’s team will be there, as well as a number of Aussie women including Chloe Hosking, Tiffany Cromwell, Gracie Elvin, Rachel Neylan, Lauren Kitchen, Shara Gillow and more, racing for a number of teams. Unfortunately there is not much TV coverage of the event, but you can tune in via social media. Tell us about your experiences with the 2017 Women’s Tour cycle race via comments or the Women Who Cycle Facebook page. Previous Post:I avoid riding my road bike in the rain. How about you?